For the last several years I have traveled to our nation’s capitol each spring to advocate for teachers, students, and writing. As part of that process I walk the halls of congress and meet with elected representatives, telling the story of teaching and learning in my hometown and the power of the National Writing Project network to support teachers and learners. I’ve never considered myself political. Although I have always voted, I hadn’t really considered my role in the political process as a citizen beyond placing my vote at election time. And honestly, the first time I agreed to meet with elected representatives I wasn’t sure I would be able to find the words and the courage to speak to these strangers about the profession I love. But I did it…and have continued to do it, because students deserve the best learning opportunities we can provide. And in the process I have learned a lot about the political process and the power of building relationships with the people who represent us in congress. 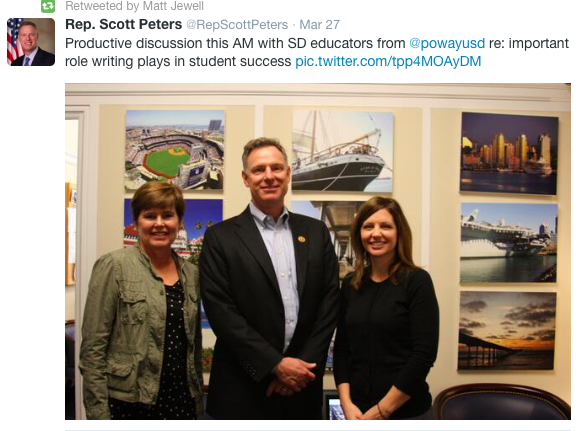 In San Diego there are five congressional representatives for the area the San Diego Area Writing Project serves. There are democrats and republicans, veteran politicians and those new to the job. Sometimes we meet directly with the representative, sometimes we meet with one of their aides. Some are knowledgeable about education, some are not. Sometimes we meet with the same person from year to year, others times we meet someone new. Sometimes our representatives are upbeat and hopeful, other times they are frustrated, and sometimes even curt. I can’t imagine how many people they meet with, each wanting their interest to be the priority. Education doesn’t need to be partisan. Remind the representative of the ways that students in their district benefit from opportunities for high quality learning. And remind them that teachers work hard and want the best for their students. Our elected representatives understand the value of good writing skills. They tell us stories every time we meet with them about the difficulty finding employees and interns with good writing skills. Be direct and positive. That doesn’t mean to sugar coat the truth, but it does mean being pleasant and being prepared with the information you plan to share and the request you have. 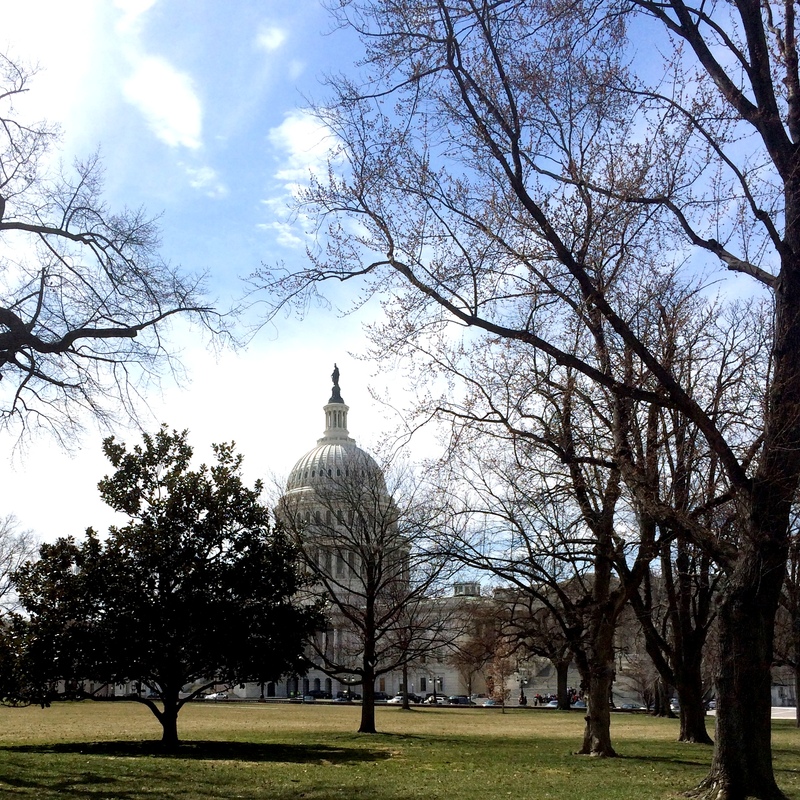 Work to build a relationship–both locally and in the capitol. Send information, follow up with emails, invite them and their staff to visit local events…who doesn’t want a photo op with an adorable student? And here’s a couple of behind the scenes photos of Abby in action. I’ve also learned the power of social media in advocacy. After Abby tweeted the link to the video she also had responses from the congressional twitter feed. And it wasn’t long before a photo we had taken with a local congressman was tweeted out as well. The only way we can improve the political process is to participate in it. And although it isn’t necessary to travel to Washington to participate, being there expands my understanding of how the processes work (and don’t) and helps me think beyond the partisan politics that dominate the rhetoric about our government. I am more convinced than ever that we need to move beyond binary thinking, beyond democrat and republican, beyond right and wrong, and black and white and move toward more complex understandings of how our government works. For me, these efforts to advocate on behalf of my profession and the students we teach have been steps in that direction. This entry was posted in teaching, writing and tagged advocacy, capitol, National Writing Project, politics, teaching, Washington D.C., writing on March 31, 2014 by kd0602. It seems like a chicken and egg dilemma: does the picture inspire the words or do the words inspire the picture? I’m never quite sure. I often go out and take photos of things that catch my eye and later go back and figure out how to make it work for the photo prompt of the day. On other days a single photo will bring a flood of words, and then sometimes with a word or words as prompt, my eye is tuned to find photo opportunities I wouldn’t have noticed otherwise. 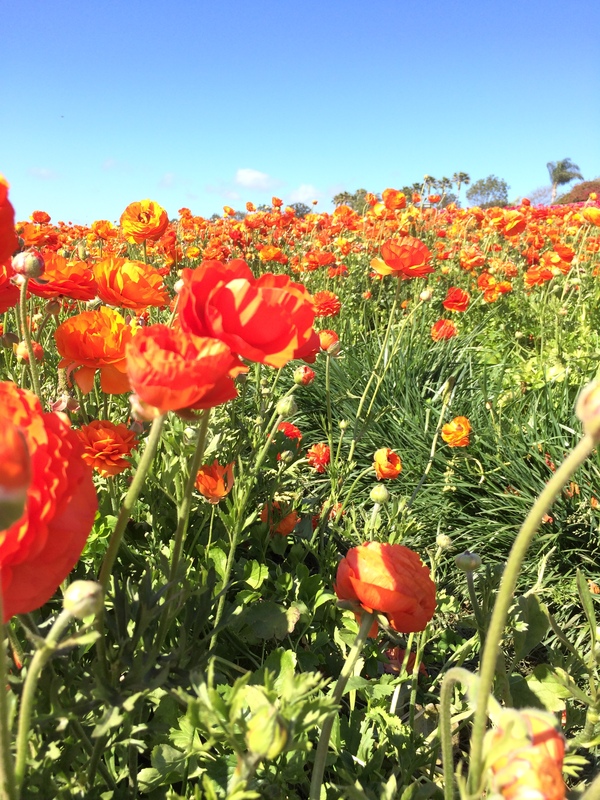 With spring in the air (even though we in southern CA haven’t had much of a winter), I find myself looking for signs of the seasons: buds emerging, flowers blossoming, baby animals, warm breezes, rejuvenating rainfall, and all the poetry they evoke. My friend Janis was inspired to find some quotes for us to use as prompts for our April #sdawpphotovoices photo-a-day challenge. So for April, let each prompt inspire a week of photos. Take the quote literally or figuratively. Take some photos and examine them with the quote in mind to find the intersections and connections or read and ponder the quote and then head out to find the images that the quotation evokes. You get to decide if your photo matches the prompt! After you shoot, post a photo each day with the hashtag #sdawpphotovoices to Twiiter, Instagram, Flicker, Google+ and/or Facebook (the more the better! ), so that we can all enjoy the posts. If you are game for some extra action, compose a blog post about a photo, a week’s worth of photos, write a photo essay, try a learning walk, or write some poetry or even a song! 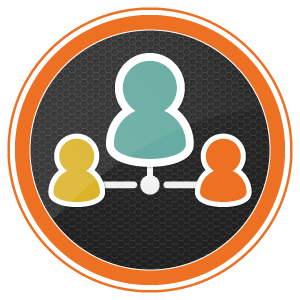 (More about learning walks here and here) You are invited to create a pingback by linking to this url or post your blog address in the comment section. It’s fun for me to see what others are doing with the same prompts I am using! Let these wise words inspire your photographic art in April! 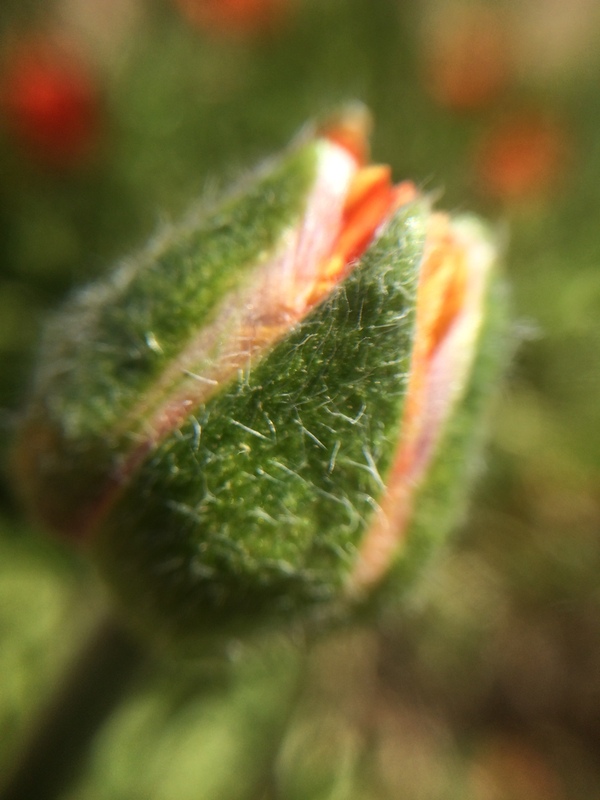 Have fun, be creative, explore the limits of your photography…April is the perfect time for new beginnings. You can post every day, once a week, or even sporadically throughout the month…whatever works in your life. Be sure to share and tag your photos with #sdawpphotovoices so we can find them! This entry was posted in nature, photography, writing and tagged April, iphoneography, photo essay, photo-a-day challenge, photography, poetry, quotes, wise words, writing on March 30, 2014 by kd0602. Skylines, those often recognizable cityscapes of famous places–some we’ve never visited–that hold prominent places in movie vistas and famous photos…but wait! We see skylines all the time! This week I happen to be in our nation’s capitol…Washington DC…with many beautiful skyline views, like this one of the Capitol building. But you don’t have to be in Washington DC or a big city to see a skyline. 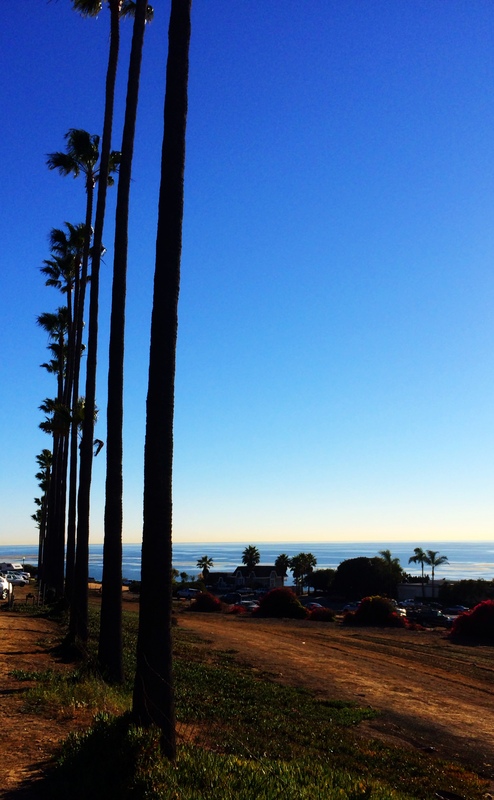 Here’s one I see almost daily… Palm trees swaying with the Pacific in the background. 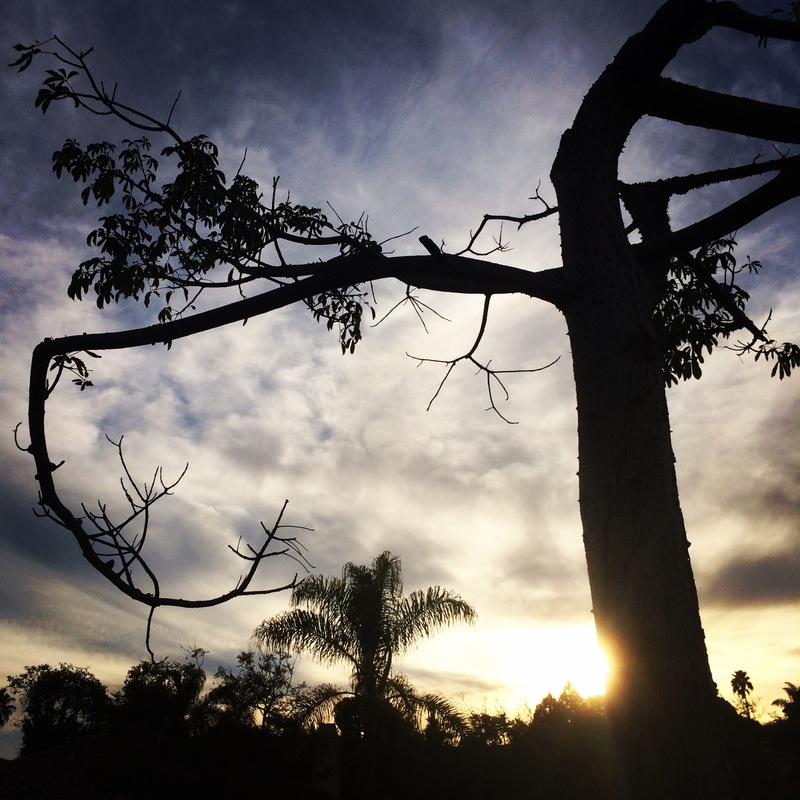 Or you might recognize this one if you follow me on Instagram… This funny tree is often featured in pictures I take of the clouds, sun, or moon…right in front of my house. 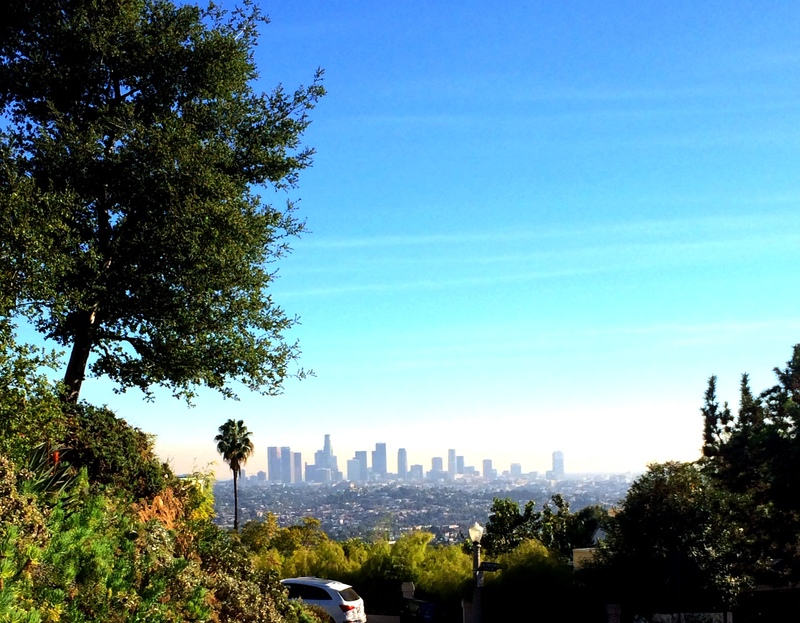 Not long ago I spent the day in Los Angeles with my son and happened upon this view of downtown LA from afar. So this week’s photo challenge is to share photos of skylines that you know intimately or have experienced in your travels. They might be famous and recognizable to the world…or they might only be familiar to those in your neck of the world. Post either the photo alone or along with writing inspired by the photo. I also invite you to use others’ photos as inspiration for your own writing and photography. I often use another photographer’s image as “mentor text” for my own photography, trying to capture some element in my own way. I like to share my images and writing on social media…and I invite you to share yours widely too. (You might consider Twitter, Instagram, Facebook, Google+) Use the hashtag #skyline and include @nwpianthology to make it easy for us to find and enjoy. You can find me on Twitter and Instagram @kd0602. I’d love to follow you if you share your handle. You can also share your photos and writing by linking to this blog post or sharing in the comment section below. I can’t wait to see the skylines that define important places in your life! This entry was posted in Weekly Photo Challenge and tagged iphoneography, nwpianthology, photo essay, photography, weekly photo challenge, writing on March 26, 2014 by kd0602. Taking photos has taken me out of doors much more often and kept me alert for interesting things to photograph. I find myself taking new routes to and from work and pulling off the road when something interesting or unusual catches my eye. This exercise in paying attention has the side effect of feeling playful and fun and has me noticing small details that might have escaped my gaze otherwise. Yesterday’s walk on the beach was a bit different than usual. We had started off for a hike, but a detour changed our plans and sent us down the road to where my husband lived in college. We found a parking place (never easy in beach communities) and headed to the beach. We met very near this place many years ago when we were both undergrads…and walked this stretch of beach on the evening we met. As we walked we noticed the changes on the beach and in the buildings along the shore. Temporary lifeguard towers have been replaced by permanent buildings and some modern designer homes have replaced beach cottages. The sun was shining, but it was cool and breezy as we walked. There were still the die-hard sun worshippers tanning in their bathing suits along with dog walkers, joggers, and other beach strollers like us. Kids played in the water and dug holes in the sand. Sandpipers feasted and seagulls squawked as the bombardiers–the pelicans–cruised the skies above. And then we saw it. 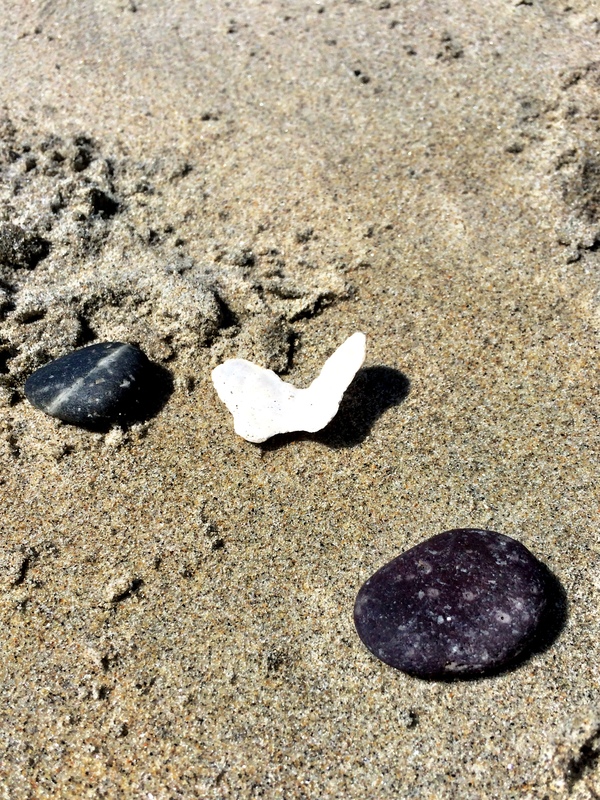 Nestled between some rocks on the sand was a butterfly-shaped shell. And I had to stop, get low, and capture that unusual sight. Perfectly shaped by the sea’s tumbling waves, the shell was smoothed with its original curvature creating the illusion of wings in flight. Butterflies are amazing creatures, light and airy, delicate and beautiful. It’s hard to believe that they begin as caterpillars crawling on leaves and end up winging their way through the air. Butterflies always feel like good luck to me, representing life and bringing life as they pollinate plants they visit on their travels. This butterfly, carved by nature from a shell, seems to celebrate the long-term, complex, and happy relationship my husband and I have shared since we met that evening when we were in college. It represents our growth, our ongoing evolution as a couple, and the freedom we feel together. And maybe it also reminds us to be playful, to continue to explore and to learn, and to enjoy the moments. This entry was posted in Slice of Life and tagged beach, butterfly, photography, relationship, shell on March 24, 2014 by kd0602. I’m a bit behind in my participation in the Learning Creative Learning MOOC, put on by the MIT Media Lab, P2PU and sponsored by the MacArthur Foundation. So I am going back to last week’s activity, which involves reading Seymore Papert’s essay Gears of My Childhood and then using that essay as an invitation to reflect and write about my own childhood experience with object-based learning. Unlike Papert, I don’t have an immediate memory of a particular object that influenced my view of the world from a very early age. (It’s probably more of a memory problem than of a lack of interest in an object!) But as I continued to think about influences on my outlook toward learning and curiosity, I found myself thinking of many different influences–most of them including important people in my life: my mom, my dad, and my Grandma Millie come immediately to mind. And then I thought about my experiences making biscuits with my Uncle Bob. Uncle Bob (actually my dad’s uncle–so my great uncle) lived in a trailer somewhere in the same county where we lived and we would visit on Sunday mornings (I think). He would make biscuits and always invited me and my little sister to help him. 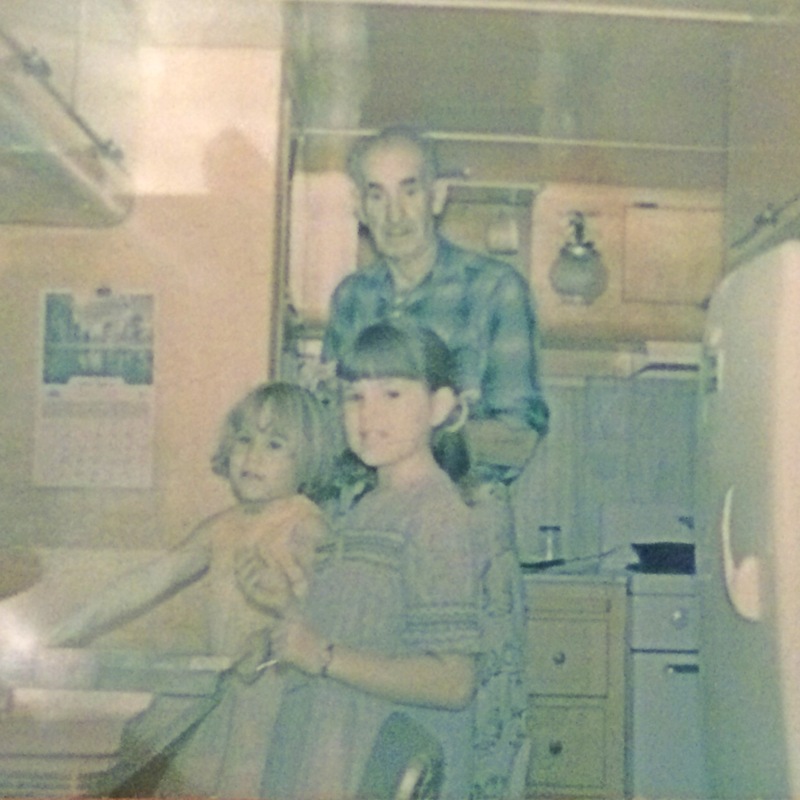 (He seemed old from the time I knew him and we were very little girls at the time) We would climb up on a chair of the trailer table and watch closely as he kneaded and smoothed the floury dough. Then he would roll it out and hand each of us a drinking glass, the same kind we would drink 7-up in a bit later, and we would carefully cut the biscuits using the glass. He would then take the biscuits, place them on the pan, and put them in the oven. I still love biscuits, especially when they are made from scratch like that! And I think the important lesson I learned from that drinking glass/biscuit cutter is that the right tool for the job is often the tool you have access to. Uncle Bob didn’t need fancy biscuit cutters that were just the right size, he just pulled a glass out of the cupboard. And better yet, my sister and I each had one to work on cutting those tasty biscuits from the dough. We all worked together and, in spite of our age, were trusted to do this important work. And to this day, so many years later, I know that using what you have access to is an important truth to experimenting, to figuring things out, to designing, and to feeling like making is within your grasp. I still don’t have to go out and buy the perfect kit or have the just right materials to get started with exploring…I just have to be interested, and it really helps to have someone like Uncle Bob (or my mom, dad, and Grandma Millie) around to support you as you’re getting started. 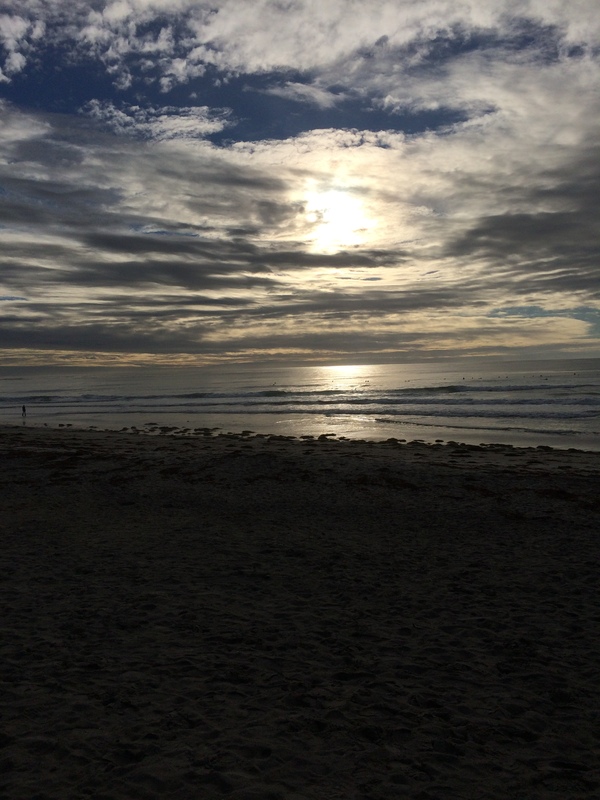 This entry was posted in Connected Learning, Learning Creative Learning, making, Slice of Life and tagged biscuits, learning, sol14, Uncle Bob on March 23, 2014 by kd0602. I’ve been pretty obsessed with weeds over the last few weeks. 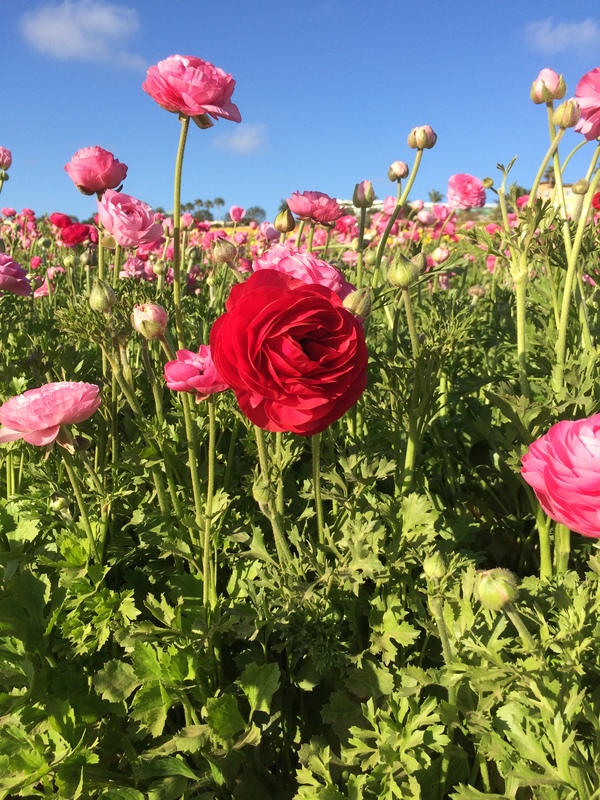 These much maligned plants are resilient, tenacious, and often quite beautiful…traits I admire. On my way home from work today I noticed that the greenhouses I passed were ablaze with color, so I pulled off the road, parked and walked to take a closer look and a few pictures. 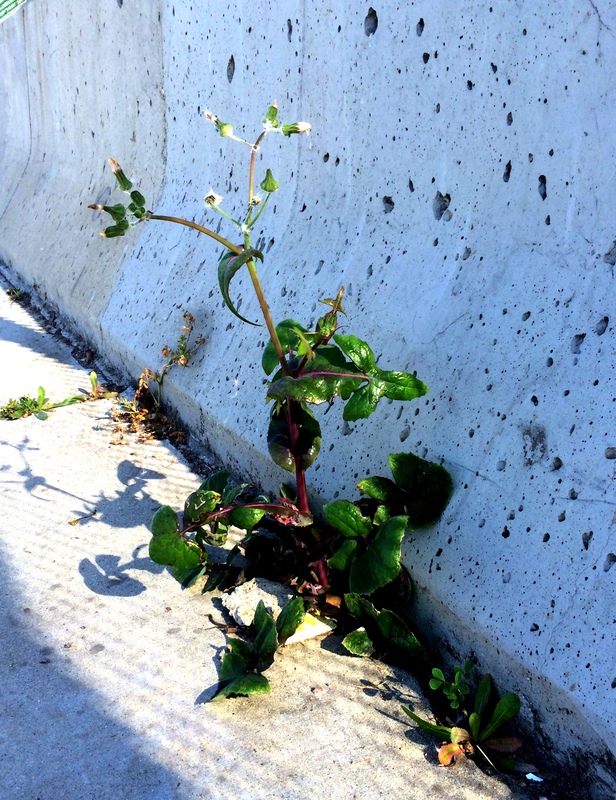 And on my way I noticed this weed growing along the cement wall in a crack between the sidewalk and the wall. When I got home I noticed that today’s Daily Post Weekly Photo Challenge was reflection…and instead of thinking about the many photos I take of literal reflections (mostly involving water), my mind immediately went to this photo of a dandelion weed growing in the crack of a sidewalk. I’ve reflected on many aspects of weeds in the last couple of weeks: their beauty, the role of a negative label, and about things that we see as expendable. Every time I see a weed I find myself thinking about its positive qualities…and wondering if a particular plant is seen as a weed depending on the context. After I photographed the dandelion weed I also noticed the salty susans growing wild in the dirt where the sidewalk stopped. 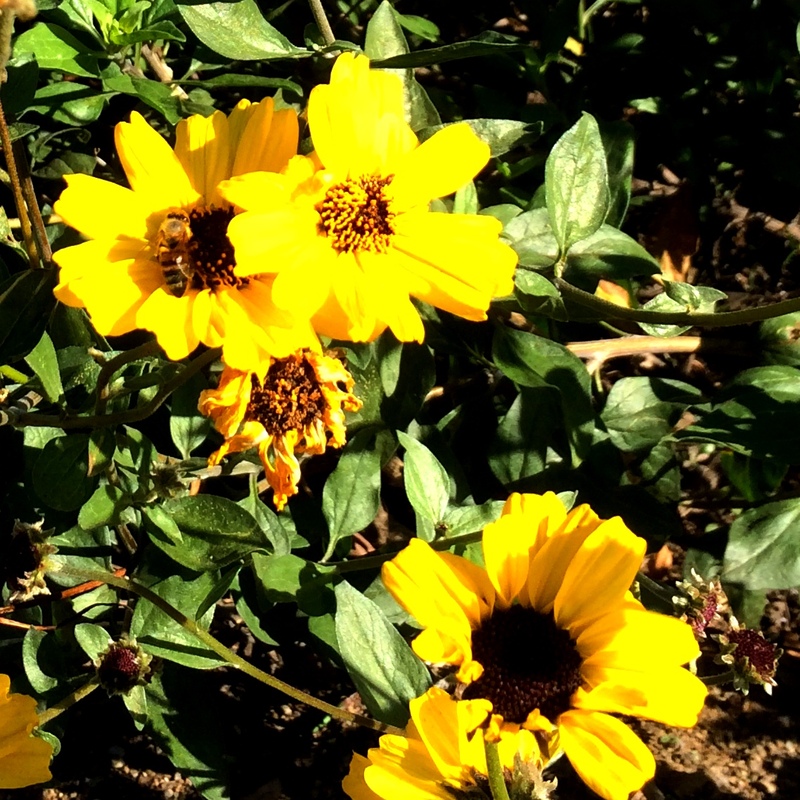 I wondered…are these weeds or are they native plants? And really, what is the difference? If these yellow blossoms were in the crack of the sidewalk would that make them a weed? And as I finished my parent-student-teacher conferences today I was thinking about the qualities the educational establishment values in learners. What about the students who don’t quite fit the profile of the ideal learner? I heard a piece on the radio this morning about the rate of suspension and expulsion in schools of students of color…and know that there is no reasonable explanation for these statistics. These children are being seen as “weeds” in the system, intentionally or unintentionally, and this has to change. How we talk about kids and how we define success plays a huge role in the ways kids are treated in schools and other contexts. Plucking them out is not a viable solution…and there’s plenty of research to support that premise. I think the answer lies in broadening our definitions of school success. I also think we need to consider what we expect of students. Do we want them to sit quietly or do we want them to learn? Is reading from a textbook or listening to lectures the best pathway to learning? How do we support students in finding their own experiences in the content we teach? What environments do we cultivate to encourage the growth of students who are quite different from each other? How do we engage families and learn from them and with them about their children? For me, weeds are an object of reflection…and of fascination. And they generate question after question for me to consider as I strive to improve my teaching practice. And watch out…I might just have an entire garden full of weeds one of these days! 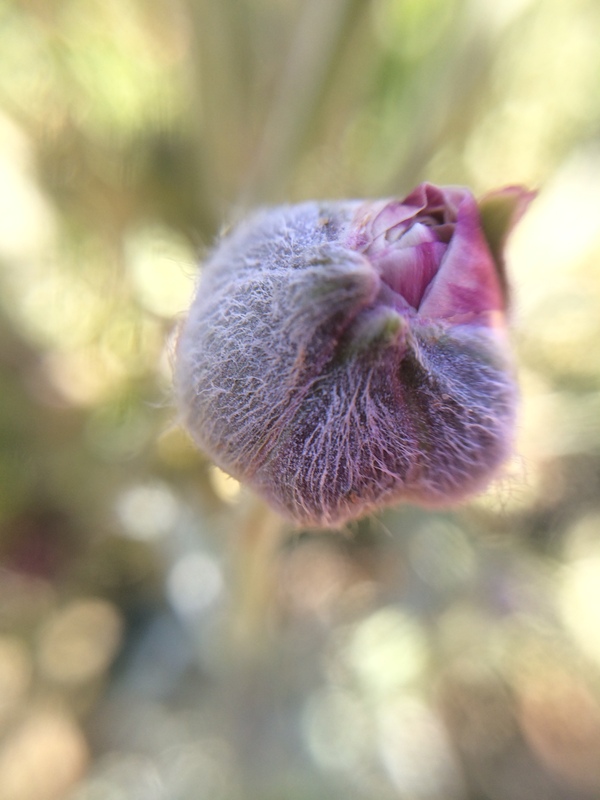 This entry was posted in photography, Slice of Life, teaching and tagged dandelions, education, labels, learning, pathways, postaday, salty susan, sol14, teaching, weeds on March 21, 2014 by kd0602. Children and animals always make great photography subjects. They are somewhat compliant…and they almost always look great in a photo! I’ve noticed, though, that as I’ve taken more photos and learned more techniques to improve my photography craft that my pictures of animals (particularly my cats Phil and Jack) have improved and I’ve captured more interesting pictures. 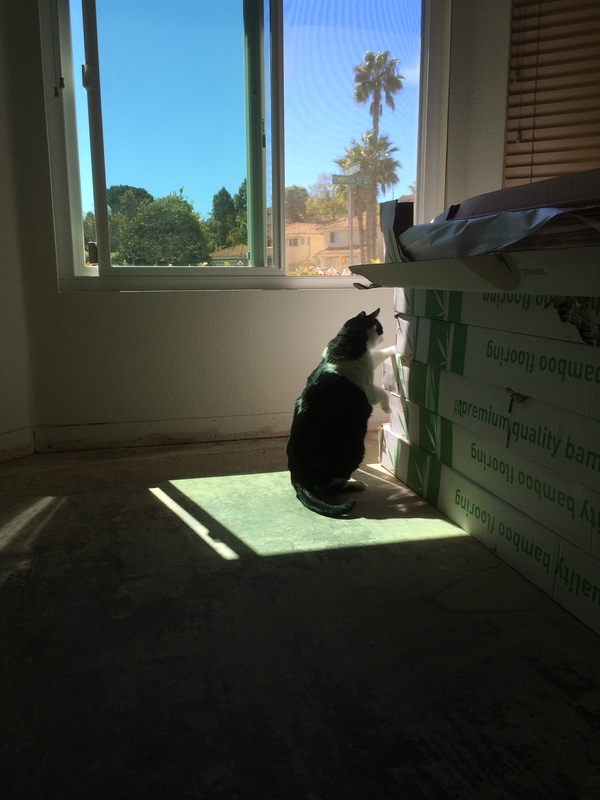 Lately I’ve shot a few photos of my furry friends as they seek the light. Here’s one of Phil. I love the expression in his eyes and the way the light crosses his face. 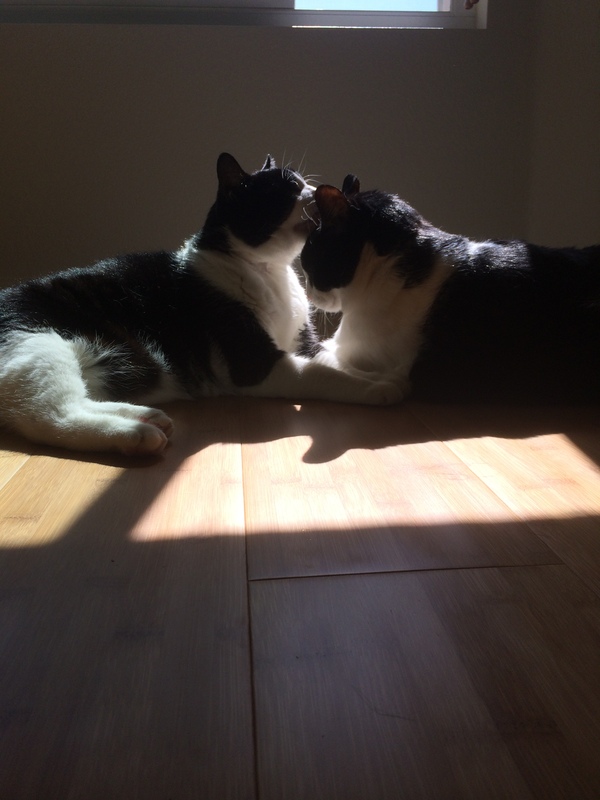 And just a few days ago I caught both Phil and jack cuddled into the small square of sun on the floor. This one of Jack is a distance shot…something I don’t do much of in my photography. I have a tendency to move in close when I take a photograph. And sometimes I like to play with editing apps to create something different than the usual realistic shot. I worked hard to get a shot of Jack meowing (he yells loudly for his food). I didn’t get the great open mouth, but I like the fun colors here. 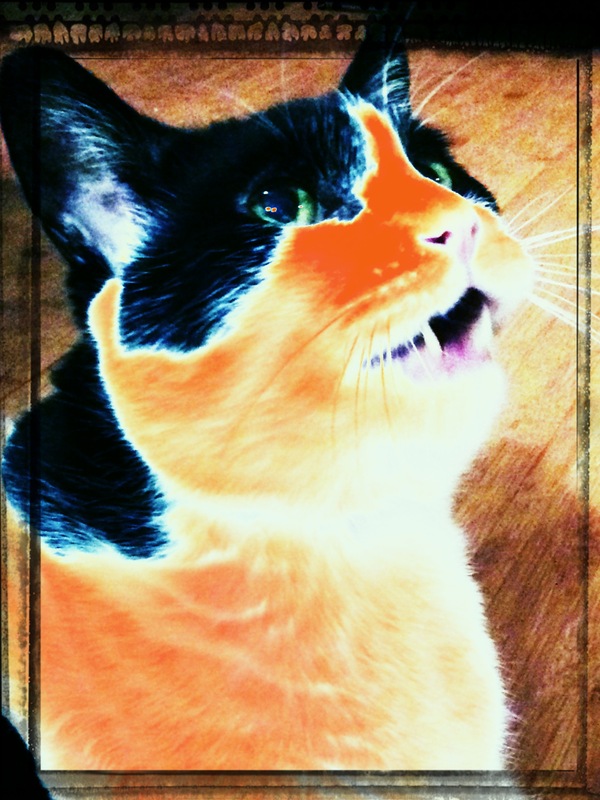 This filter is in the tadaa app and is called lucy. So this week’s photo challenge is to share photos of your furry friends. Those furry friends might be those family members who live at your house, wildlife from the yard or the zoo or the farm, or some random animal you see when you are out and about. You get to decide what constitutes furry and friend! Post either the photo alone or along with writing inspired by the photo. I also invite you to use others’ photos as inspiration for your own writing and photography. I often use another photographer’s image as “mentor text” for my own photography, trying to capture some element in my own way. I like to share my images and writing on social media…and I invite you to share yours widely too. 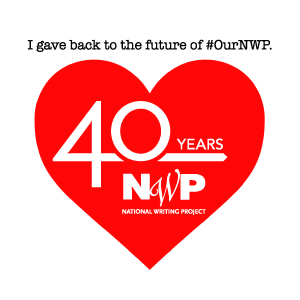 (You might consider Twitter, Instagram, Facebook, Google+) Use the hashtag #furryfriend and include @nwpianthology to make it easy for us to find and enjoy. You can find me on Twitter and Instagram @kd0602. I’d love to follow you if you share your handle. You can also share your photos and writing by linking to this blog post or sharing in the comment section below. 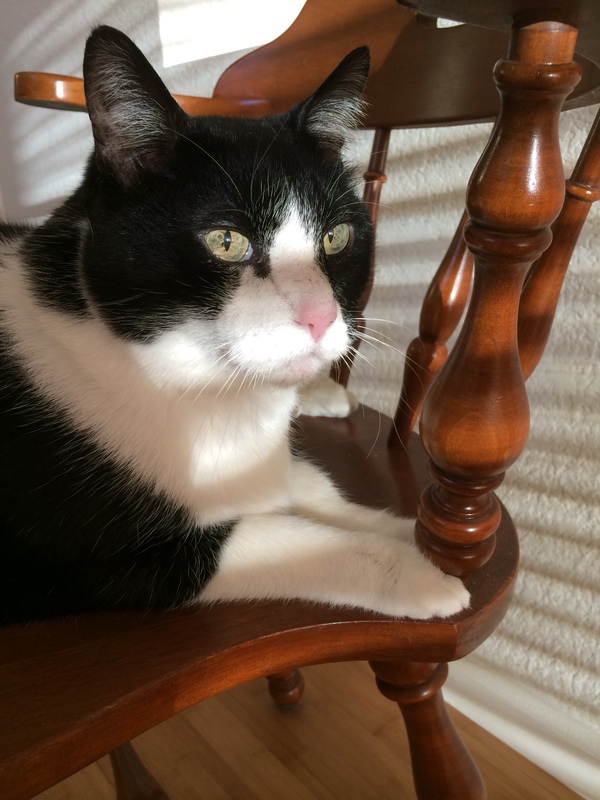 I am excited to meet your furry friends through your lens! This entry was posted in Weekly Photo Challenge and tagged furry friends, nwp ianthology, photo essay, photography, weekly photo challenge, writing on March 20, 2014 by kd0602.